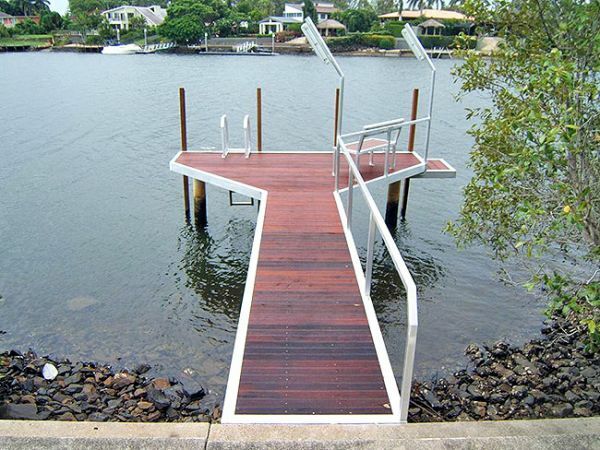 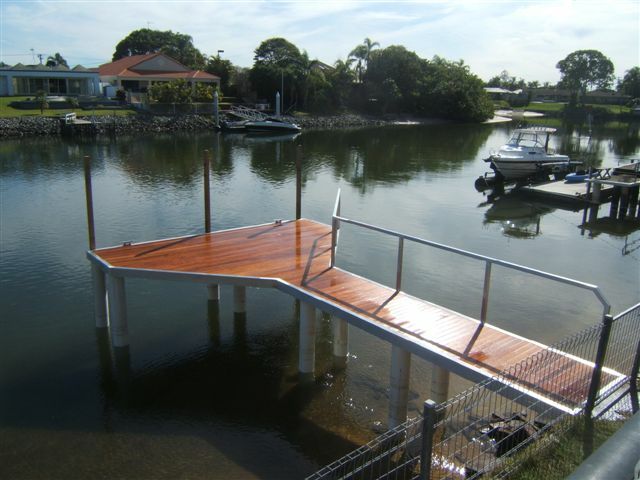 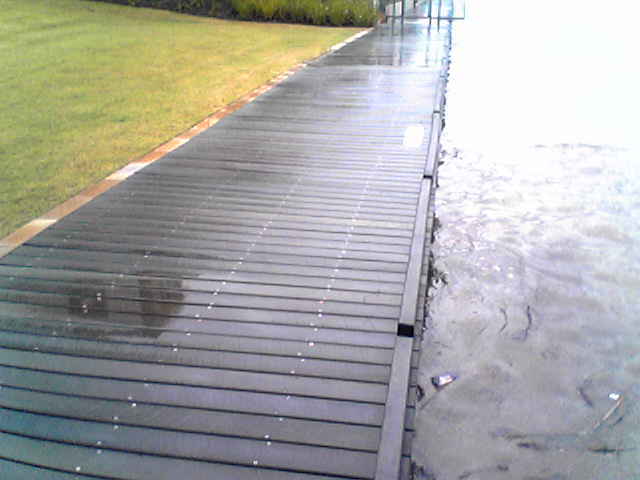 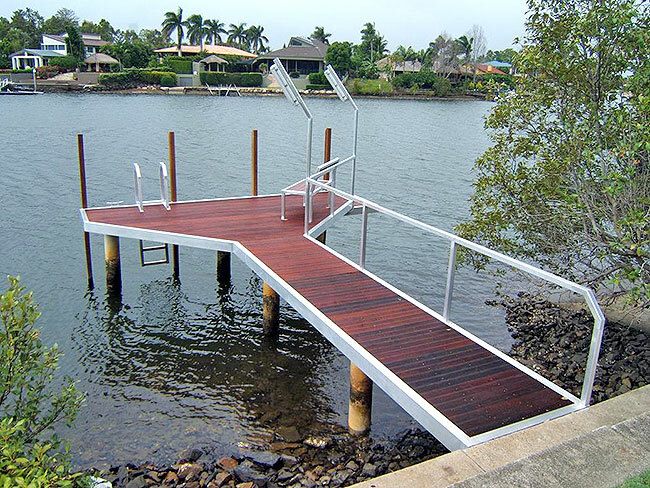 Another great 10 x 3 Flat Deck pontoon with black piles and black pile caps, installed at one of "DTL Constructions" amazing homes. 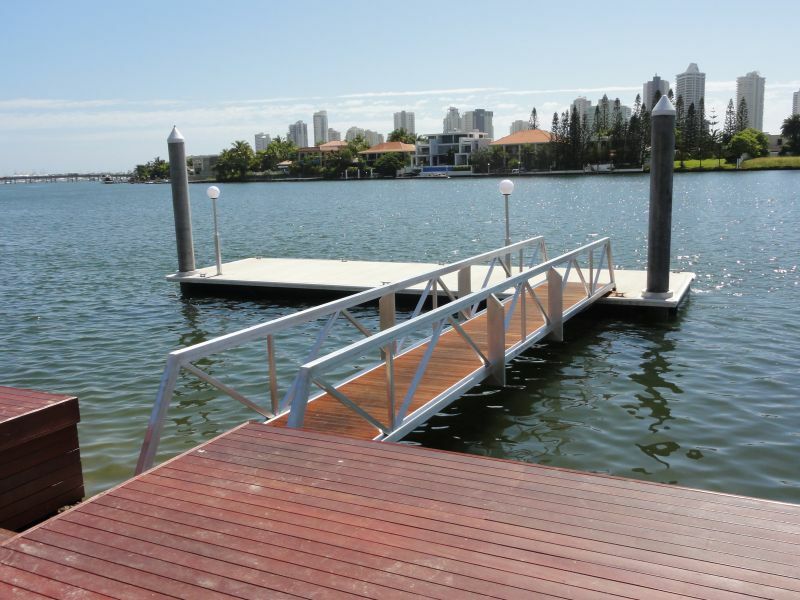 A Single fully remote controlled Sportport Jet Ski pontoon exclusive to "Prestige Pontoons" is perfect to keep this owners Jet Ski High and dry. 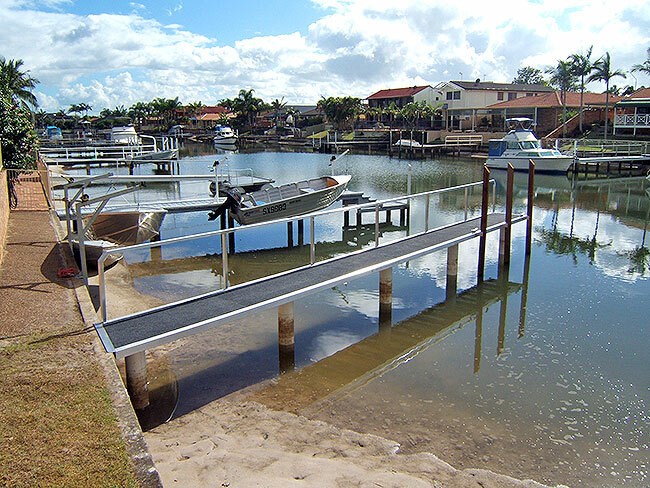 This quiet canal in Mermaid Waters is perfect for this 12 x 3.5 strut pontoon with a roller system and electric winch to pull a boat up on top. When a pontoon is to heavy to lift into the water with cranes. 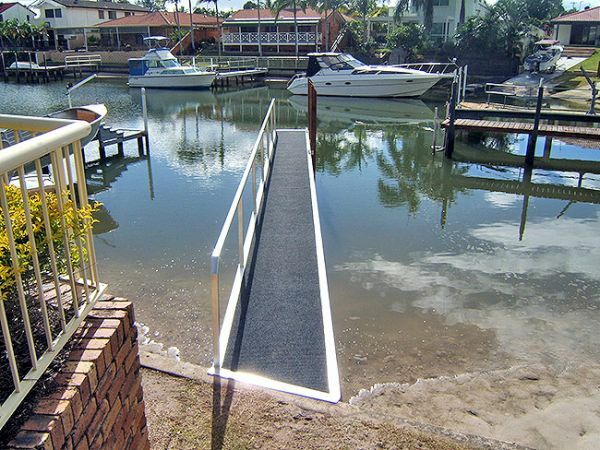 A ship lift will do the job.